Kids are like little balls of energy. They can hurtle around your home for hours on end, then promptly collapse into a deep sleep when their ’batteries’ run out — and usually, this means sleeping wherever they were last standing. 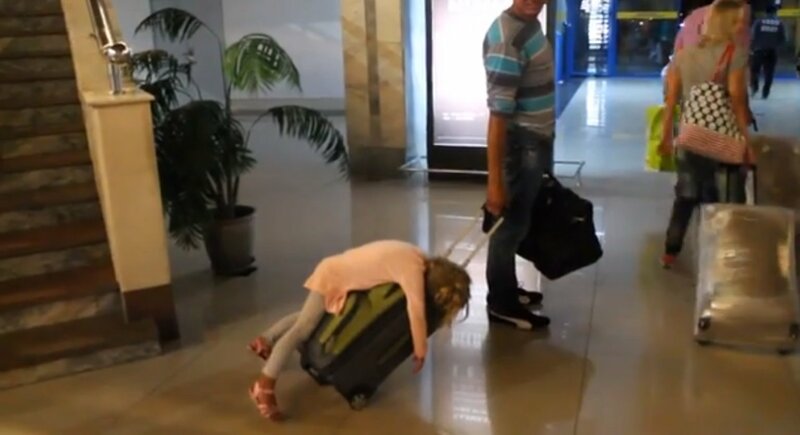 Here are 20 kids who have the enviable ability to get some rest literally anywhere. It seems breakfast wasn’t that interesting. Shopping can be hard work! Why would you do anything else in the car? You need a lot of stamina to stay up for Santa Claus. A pillow? What do I need one of those for? Their batteries definitely ran out! That’s an incredible sense of balance he’s got there. Of course! If you sleep here, the monsters can’t hide under the bed! Wake me up when we reach the seaside. When I feel tired, I just lie down — wherever I am. Definitely a future truck driver! Oh won’t somebody save him! If you tire out dad like that, he’ll end up sleeping like a baby as well!